If you’ve been keeping up with our Beekeeping for Beginners blog series, you already know about the main components of a beehive and the equipment necessary to care for it. If you’ve already set up your beehive, your bees have been hard at work and you should prepare yourself to harvest the golden benefits of their labor when the time comes. The following guide will help walk you through the steps of removing honey from the frames of your hive so you can start to enjoy your super sweet harvest! Remove bees from hive – Before removing any frames, you should first vacate the hive of any bees. You can do this in a variety of ways, but using an air compressor or a leaf blower to blow them out is a very effective method. You can also gently brush them off of each frame as you remove it, or use a specially designed bee escape that allows for bees to exit, but not reenter. Remove frames from super - When you notice that shallow frames are over 80 percent covered in sealed or “capped’ honey, you are free to remove them for extraction. However, it is also advisable to wait until frames are entirely covered or until after the completion of the last major nectar flow of the season so you get the most out of your harvest. Uncap – Hold the frame with a slight tilt over an uncapping tank as you prepare to cut away at the wax. Honey is easier to remove when it’s warm, so use a heated electric uncapping knife to delicately start slicing away at the wax cappings in an upward motion. Work bit by bit to reveal the honey on one side of the frame before doing the same on the other side. Use an uncapping fork for any wax you may have missed. Using the extractor – Once you have enough frames uncapped, place them within the extractor. The extractor will spin the frames and honey will be removed from the cells into the holding tank with centrifugal force. 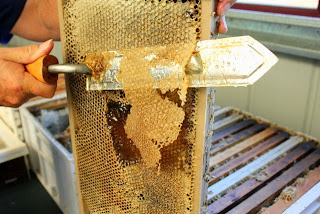 Once honey is removed from one side of the frame, turn frames to the opposite side and repeat. Be sure to start by slowly spinning the frames to avoid damaging the delicate wax comb. When frames are empty, you can return them to the super. 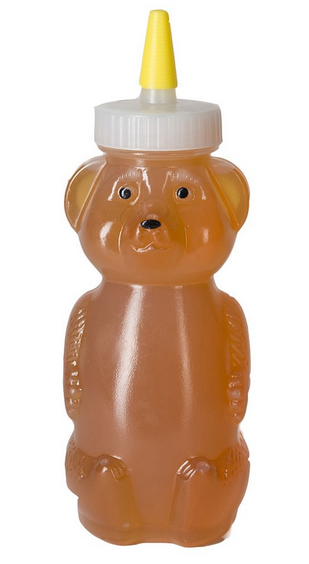 Drain and strain – As the tank fills with honey, it will become more difficult for the extractor to spin, so open the valve at the bottom of the tank to begin draining the honey into the collection tank. Honey will pass through a strainer that will remove any extra wax, bee parts, and any other things that you don’t want in your supply. Have something to share about your first harvest? Tell us about it in the comments below and be sure to check out all of our beekeeping supplies at Paris Framers Union to make every harvest a success! This is AMAZING! I love seeing the process. I used best durable honey bee extractor by vivo and I swear it's the best.